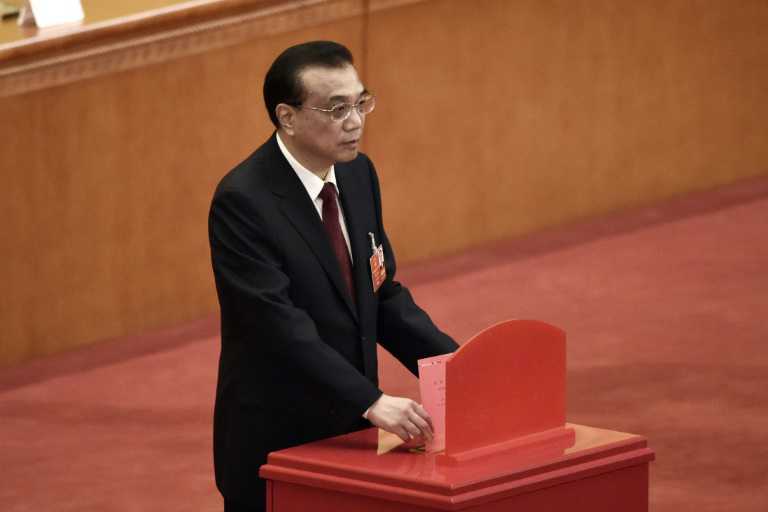 By AGENCE FRANCE PRESSE, Beijing, China, Mar 18 – China’s rubber-stamp parliament gave Premier Li Keqiang a second five-year term on Sunday, but he faces a tenure deeper in the shadow of the country’s powerful leader Xi Jinping. Li was re-appointed with 2,964 votes in favour and two against during the annual session of the National People’s Congress at Beijing’s Great Hall of the People, one day after Xi was unanimously given a second term. Appointed in 2013 to oversee the day-to-day management of the world’s second-largest economy, Li, 62, has seen Xi consolidate power, accumulate titles and surround himself with powerful allies. In another sign of Li’s diminishing stature in government affairs, Xi’s former anti-graft buster and trade negotiator, the economist Wang Qishan, was appointed vice president on Saturday. Xi has also turned to his top economic aide, Liu He, to deal with US trade frictions, dispatching him to Washington earlier this month, though it has not stopped President Donald Trump from considering new punitive measures against China. For his part, Xi now has a clear path to ruling the country indefinitely as the parliament voted last week to abolish the two five-year terms limit for the president. Li “was sidelined from the premier’s traditional economic policy bailiwick early on in his tenure,” Jonathan Sullivan, director of the China Policy Institute at Nottingham University, told AFP. “The most influential figures around Xi are allies that he has manoeuvered into central positions,” Sullivan said, referring to Wang and other officials. When he took office five years ago, Li promised “fair treatment” to foreign firms, a larger role for the market and structural reforms in favour of the private sector. But the United States and Europe say foreign firms still face hurdles to break into and thrive in China’s huge market, as they are forced to work in joint ventures with local firms and share their technology. The EU Chamber of Commerce in China summed up the exasperation last year as “promise fatigue” — a complaint that challenges Xi’s image as a champion of globalisation. Li’s first term has also been marked by increasing concerns about China’s growing debt load, which analysts warn could erupt into a financial crisis with global repercussions. The government has rolled out a series of measures to prevent a financial calamity. On Saturday, the parliament approved the biggest government shakeup in at least a decade, which includes the merger of the banking and insurance regulators to control risks. “(Li) is acquiescing to Xi’s personalist power,” said Sam Crane, a Chinese history expert at Williams College in the US. While Li has not been completely sidelined, “he has accepted a secondary, subordinate position,” he said.